You made it. You’ve got a booming health clinic. Patients are pouring in, your staff is happy, your doctors are busy. And so are you. And if you don't, you know your competitor (or superstar clinician) will because it's a really good business opportunity. If that’s where you are right now, I’ve got two words for you: Sit tight. Be like Congress – do nothing, at least until you read this. When your clinic is awesome, you see your competitors adding new locations in new areas and you are tempted to expand, too. Or, it may be that a great opportunity presents itself that feels too good to give up. For example, a bunch of new doctors in your area or a new recreation center opportunity. Here is a recent poll I ran with my Instagram account. Opening a second (or third) clinic location isn’t a decision to make lightly. Just because one clinic is doing great doesn’t mean a second one will. 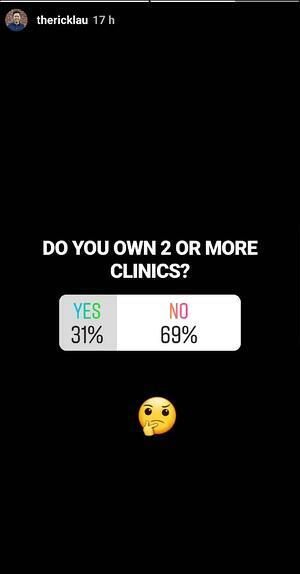 Many clinic owners have made less money after opening a second clinic than they were making with just one. And yet they are busier and more strung out. It’s not simple. Do you have an easy way to find and call back new patients who either didn’t book, didn’t get answered, or didn’t leave a voicemail? Do you have a training library of recorded calls and phone scripts you can use to train your staff? Do you have consistent new patient marketing funnel in place – that’s working well? This is just a sample. These relate only to your patient experience operations, one slice of what you need to think about before expanding. You’ll get seven more questions in a moment. But if you can’t answer these questions positively and definitively, you should seriously consider pausing on your plans to open a second clinic until you have the systems in place that will give you these answers. For instance, suppose your current location is only answering 60% of calls coming in to your clinic. (Think that’s low? I’ve seen clinics answering fewer than 50%!). If your current clinic is missing so many callers and you’re still booked beyond capacity, there’s a good chance a second location will succeed. You should be answering 95% of your calls, so if your answer rate was where it should be, you wouldn’t have room for them in your schedule. Or what if last month you have at 50 new patient opportunities that "did not book" because you didn't have enough availability in your schedule. Would that give you the confidence to hire another clinician or open a 2nd location? The ultimate question is how do you identify when to open a second location? Or if it’s worth opening a second location at all? Just because you own one successful location doesn’t necessarily mean you will be successful with owning two. 1. Do You Have the People? A second location means a whole front desk staff. That means new people to hire and train to do things the way you like them done. It means new people to monitor for their performance and help them improve. It also means new clinicians to meet with patients. Do you have a bench of clinicians who want to work at your clinic rather than try to open their own? Are there enough in your area or is there a shortage? Can you manage them and get their buy in? Will you have office managers or clinic directors? Will they be charismatic or influential as you and drive results? And is your clinic profitable enough to afford them? A second location means more people to manage. Are you prepared for that? 2. Do You Have the Time? A second location will stress you out. It will eat into your family and personal time. It will reduce your ability to treat your current patients and be present for your current staff. It will likely cause you to neglect your first location more than you expect. But it doesn’t have to be this bad. The biggest time stressors happen when you don’t have automated and proven systems in place, including ones to maximize your patient experience operations – which the five questions asked at the beginning of this article were meant to highlight. You can’t perform those tasks without some form of automation. Those metrics tell you whether your new location will succeed before you open it, and is succeeding after you open it. Without automation of these and other key management processes, you will NOT have time to manage a second clinic. Trust me – I’ve tried it, and seen many others try it too. 3. Do You Have the Process Management and Metrics? I’ve owned one successful location and then expanded it into a successful multi location enterprise - from 1 to 105 clinics in less than 8 years. 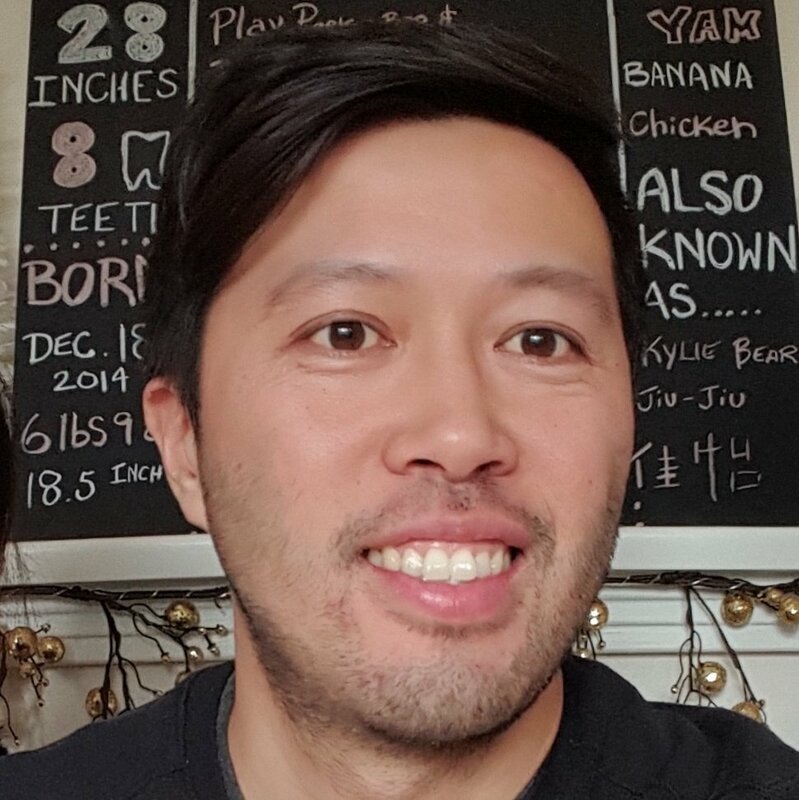 One coaching client of mine has spent over 10 years to build an incredible brand and now we are working to automate his business processes and to clone his brand to multiple sites. Another client I have has built 2 clinics from scratch in less than 2 years and has been struggling with exhaustion and lack of time, so now we are working to automate and make his business systematic and predictable. For example, how do you know if your front desk people are hitting their daily answer and booking rate goals? Do they even have targets for these? You should have weekly and monthly metrics for all your KPIs (key performance indicators), and those should be easy to monitor on a scoreboard. You must inspect what you expect from your team. 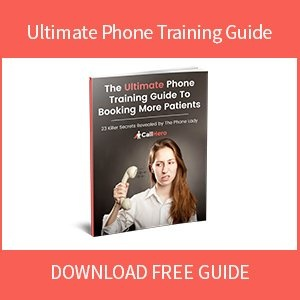 Are you able to listen to their calls with patients, and use these calls to train and improve your patient experience operations? What phone call analytics do you have at your clinic? Do you have phone scripts that are proven to work, that you can use to train your staff on how to handle callers and book more appointments? What about your clinic culture? Do you have an assured method for creating a clinic that’s both fun and accountable when you are not around? Does your compensation plan inspire growth, or are your front desk and clinicians checking job websites when you’re not looking? Do you know who your top performers are, and why, and are you meeting with them every week or month? 4. Do You Have the Marketing? How did your current clinic grow? Can you replicate that process? If you’re hoping the new location grows simply by referrals and being in the right area, you’re taking a big risk. Assured success in expansion depends on a proven marketing strategy. People need to be able to find your clinics, and that means digital marketing (and doctor marketing) that you know gives you a positive ROI. So who does your healthcare marketing? Is it you, or do you have a team for it? How much of it is automated? Are you consistently pushing it forward, or coasting along and not paying attention to your competitors? Do you know how many competitors are already in the area you’re considering expanding to? What about competition near your current location? It would be frustrating to put effort into expanding to a new location, and then find out a new competitor is cutting in on what you assumed would be reliable profits at your first one. 5. Do You Have the Training Systems? With two locations, you have twice as many people to train and monitor. Are you okay with the reality that you will likely be seeing far fewer patients because you’ll be spending more time managing? As an owner of multiple clinics, your role will change. You’ll have to measure performance for more employees, hire more clinicians and admin, and do more training for patient experience operations, from the first phone call to the post-treatment follow-up. But you can’t do it all, as you surely know. So who will be making these decisions and running these operations when you aren’t there? You could cut another clinician in with a share of ownership, but that has another whole set of issues to work through. 6. Do You Know Why You Want a Second Location? Are you maxed out at your current location? That’s a seemingly good reason to expand. But choosing the second location needs to be done with data to back it up – data you will know if you have many of the above systems in place. Maybe you’re looking forward to seeing fewer patients and taking on a managerial role. That’s good – because that’s where you’re headed. Are you hoping to make more money? That’s a good reason too, but remember – I’ve seen many clinic owners expand and then make less money afterward, because they didn’t have the systems in place that would have ensured their success. Know your reasons for wanting a second location. And then, do what it takes to determine if it’s a smart move, and where to put that location. 7. Do You Know Which of All These Questions Is the Most Important? You probably do, because I’ve mentioned it multiple times. The profitability and success of your second location will be virtually assured if you have patient experience operations already thriving at your first location. If you’re doing what works, and you know it, and have the data to prove it, there’s no reason you won’t be able to replicate it at a second location. On the other hand, if you’re doing well, but can’t really say why, and don’t know your numbers and feel like a second location would be like starting over again – then replicating your success will be much more risky. CallHero takes away that risk. If you don’t know your numbers, CallHero delivers them for you. It hooks directly into your phones, monitors your numbers, and reports your metrics. With CallHero, you’ll know your call metrics (answer rates and booking rates). You’ll know your top performers, and the ones who need more training. You’ll have the tools to train them with – all kinds of phone scripts, as well as recorded calls from them and other team members. You’ll also have call logs showing callers who didn’t book, didn’t leave voicemails, or didn’t even get answered, so you can call all these people back and get more bookings. CallHero maximizes your existing marketing by helping you answer more calls and book more patients from people already calling your clinic. Once you have all this in place, you’ll have far more certainty about how to open a second clinic. You’ll have training systems and phone scripts for new hires. Metrics to monitor them. Systems for working with new and returning patients. You won’t be responsible for everything, because your systems will shoulder part of the load, and your team will feel great because they’ll know their performance and what they can do to improve. 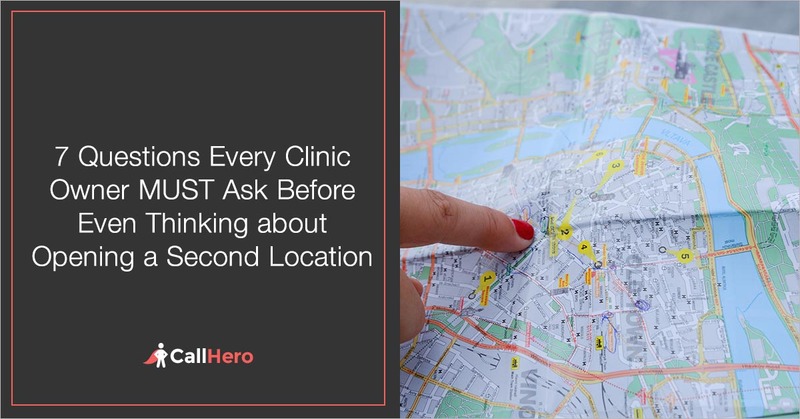 If you want to learn more, click the button below to see how CallHero will empower you to open a successful second medical clinic location.